Have you discovered how cute mice are? Want to see more pictures of them? Do you have questions about mice? Do you have mice? Do you just like mice? If the answer to any of those questions is yes, you’d enjoy belonging to the Here There Be Mice…© Talk list. 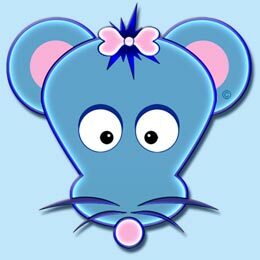 Here There Be Mice…© Talk is a casual, fun list where everyone can enjoy learning about mice and chatting with others who may have mice, although there is NO requirement to own mice. We’re just a group of people who find mice entertaining and charming little pets. Some of the things they do are amazing and some (although we’d never tell them) are amazingly dumb. While “Almost A Story A Day” has a short story about the life of the Here There Be Mice…© family, there is always more to the story and comments and questions can also be made on the Here There Be Mice...© Talk list regarding those stories. Find out tips from those who have mice. Learn what works and what doesn’t. Learn what individuals mice can be and how different their personalities are. Did you know that mice come in a wide variety colors and coat variations? Don’t miss out on all the fun.